My daughter really loves science. It would be easy to just give her a science book (and often I do just that), but she really enjoys experiments with an element of surprise, the ones that make you think deeper without knowing the expected result. This is an example of such an experiment. What Makes a Good Science Experiment? When my daughter was younger, I was focusing on introducing her to two things. One was a joy of randomly combining materials and learning to mix, measure (a little!) and observe the results of her experiments. Classic food coloring or baking soda and vinegar experiments fit in that category. At the same time I also wanted her to learn that some experiments require following directions – this is where science kits are helpful, because they usually come with step by step instructions on how to obtain the desired results. Now, in the second grade, I really want Smarty to think when we do experiments at home. This is why I am trying to set up experiments that don’t come with clear steps or include all the necessary ingredients in the beginning. Our first experiment of this nature was a Mystery Substance – a twist on a good old baking-soda-and-vinegar experiment. I am now sharing our second experiment of this nature. This time I gave her a plastic glass with two different materials. She immediately identified one from looking at it as sugar, but was stumped as to what the other was. She was even more stumped at the challenge to separate these two materials. Taking notes while doing experiments helps young scientists to slow down a little and engage their brains before letting their hands run further. I asked Smarty to wrote down properties of sugar, and the first thing that she wrote down was, “dissolves in water”. That’s where her mental bulb went off on how she could go about separating two materials. We then discussed on whether to use warm water or cold water and how much water she thinks will be needed to dissolve 3 tea spoons of mixture. Daughter was very surprised to see our “mystery substance” to change size when put in water. She was delighted to be able to identify them a little later as water beads that she has seen and played with before. It was interesting to take our water beads out, examine them under a strong magnifying glass and describe them on paper (glowing, bumpy, slippery, cool). Smarty predicted (correctly) that water beads will grow even bigger and will take in all water in the glass jar. This is a stretch at this age, but I am also trying to get my daughter to change one element of an experiment to predict what happens and observe an outcome. After we had identified a “mystery substance” as water beads, I asked Smarty what she thinks will happen if we put water beads in vinegar instead of water. She predicted that they will fizzle like soda does. I predicted that they will fall apart and turn vinegar green. We were both wrong. Beads didn’t disintegrate, but they grew much slower than in water and stopped growing altogether at some point. Science Experiments and Science Books for K-3. Phyllis at All Things Beautiful just took over Science Sunday link up from Ticia at Adventures in Mommydom. These homeschool Moms rock at hands on science. Do you find time for science at home? Which experiments are favorite with your children? We love science, observing, making predictions and charting. I love this post! Thank you for sharing! I like the way you have described the process of your teaching her how to think scientifically. I also love the experiment you did. Thank you for linking up! I love your point about taking notes! Great activity! What a fun activity, we've done some separating out of objects, but nothing where the other object dissolved in water. What a great idea. Totally love all of the thinking, predicting and note taking. Children are naturally curious little scientist. I love this experiment. I think my 4th grader would equally enjoy this! I'm so pleased to have found your blog, Natalie. I do lots of hands-on science with my 8 and 10 year olds. I like your emphasis on the scientific process. I'd like to get my kids thinking a bit more about that as they get older. Pinning your experiment - thanks! I loved how you tried to predict what would happen to the water beads and would love to know why they didn't grow! Thanks so much for sharing your science experiment at Mom's Library! What a fun experiment!! Thank you for sharing via Family Fun Friday. This is a great process Natalie! I must remember to do this with my kiddos. I love how you're introducing more open-ended experiments to make your daughter think. She sounds like a great scientist! 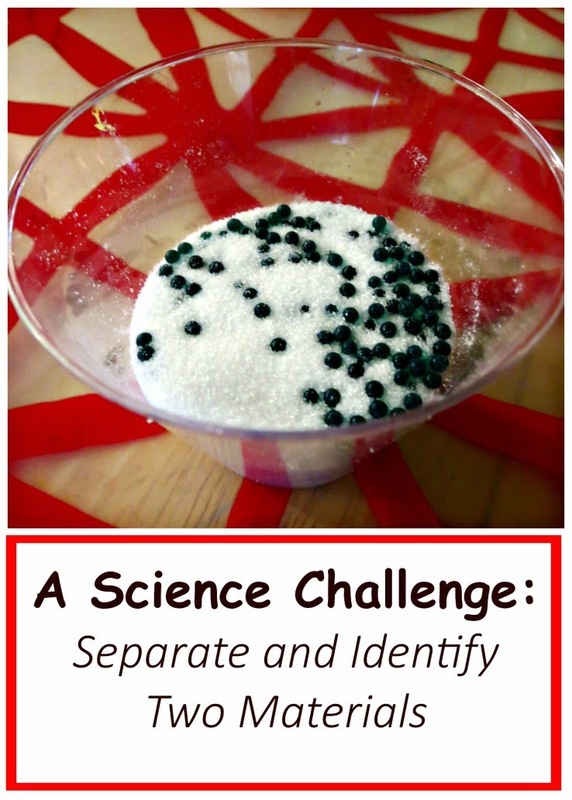 I love your advice for helping to get the most out of science experiments with kids!